With the release of the Expansion, and the lower requirments for people to be in instances (10 and 25 instead of 40), it is possible to maintain a social aspect in a raid enviorment. Play with your friends and have fun, go level, get gear, do REALLY challenging instances, and not get bogged down with drama. Damn it is so nice. I enjoy login on again. If ya log on and the guild is already in Kara, let the raid know your available, you'll be on an alt, just checking to see how bad of a beating yall are taking or maybe if your class will help progression ya get a invite. We need to get to the Curator, he drops the Tier 4 set piece. 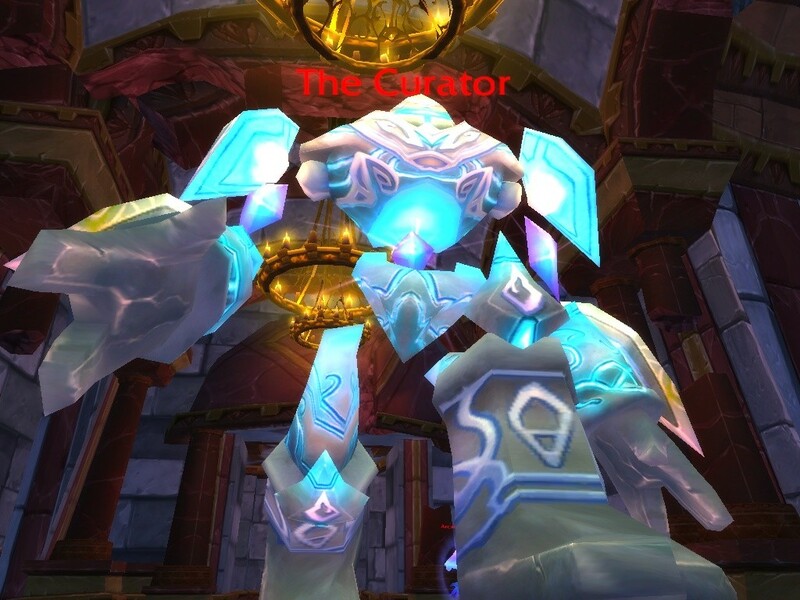 Every week we dont make it to the Curator is another week we have to wait to start getting our set pieces (Same with Gruul and Mag). So progression is very important. People will come and go depending on guild progression. This is FACT. Been doing this a long time with my friends and family in this guild, we have all seen it. It isnt personnal, they are just after different things in the guild then I am. I dont expect things from a guild like the neverending pot, enchant, jewels, crafted items, etc... i dont expect yall to run me thru instances for gear, rep, quests, etc... Some peeps expect the guild to play the game for them and get stuff for them. These peeps will eventually leave the guild because it is not possible to satisfy there every need. Some are just guild hoppers. So if ya see somebody leave the guild, just smile and say goodbye, they prolly made us a better guild by leaving. There is a spot in here for everybody that wants to play. We as a guild will make it to The Black Temple. Just remember to have fun along the way.